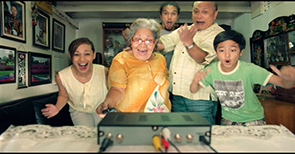 ABS-CBN is set to launch it’s digital set-top box named ABS-CBN TVPlus tomorrow, February 11, 2015. The set-top box will be sold in major appliance stores and standalone hardware and general merchandise stores and will also be sold house to house via telesales. The TVPlus “mahiwagang black box” will cost 2,500 pesos (one-time payment with no recurring fees) and comes with an ABS-CBNmobile SIM preloaded with 50 pesos. After activating the bundled SIM, the user will be able to receive programs schedules and join promos on the 4 free new channels CineMo, Yey, DZMM TeleRadyo and Knowledge Channel. For those interested, you can text an inquiry to 23661 or calling the ABS-CBN TVplus hotline at 488-8888 and even online at www.abs-cbnstore.com.